leaves building front door for assignment, september 1948″. 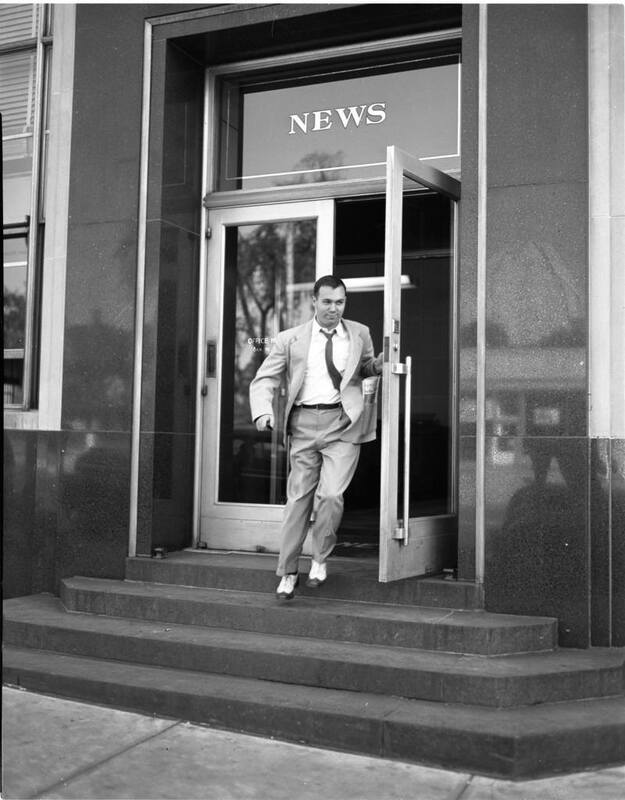 this old news image reflects the one we often had of intrepid reporters, hot on an assignment, giving us the latest news of pinnacle events in the life of ann arbor. there was a certain quality and reliability to the news and its staff, bringing us the best stories and photographs available. the photos still resonate with the innocence and spontaneity of life and those living it here. to all the journos out there, still finding a way to tell the story. It is. And I appreciate it when I come across it. Journalists are important people for the stories they are telling. Yes to the journalists and free press! thanks, roy. i can totally see you as a journo. I just went on a trip down memory lane with 3 other friends from forty years ago…Our YaYa weekend was epic and this picture reminds me of all the pictures in our head that we kind of laid out all over our metaphoric coffee table and remembered. Sadly the objective news era seems to be behind us. I miss facts. ‘News is not the event itself, but an interpretation of that event.’ Credit due elsewhere. Love the Bradbury quote. I think that there are still good journalists and some mighty good reporting going on. It is a bit harder to find, but, it is out there. It’d be nice if reporters got back to reporting the who, what, when, where, and how and left the why for us to figure out. Beth–We’re planning a tribute post for Dave over at the BoFN, would you like to participate? That would be great. May I have your email address so we can include you in our little project? Reminds me of the day I stood outside the Daily Planet and watched Clark Kent run out of the building. For some strange reason, he was heading for a phone booth. You really make it seem really easy along with your presentation but I in finding this matter to be really one thing that I think I might by no means understand. It sort of feels too complicated and very huge for me. I’m having a look forward on your next publish, I will attempt to get the grasp of it!